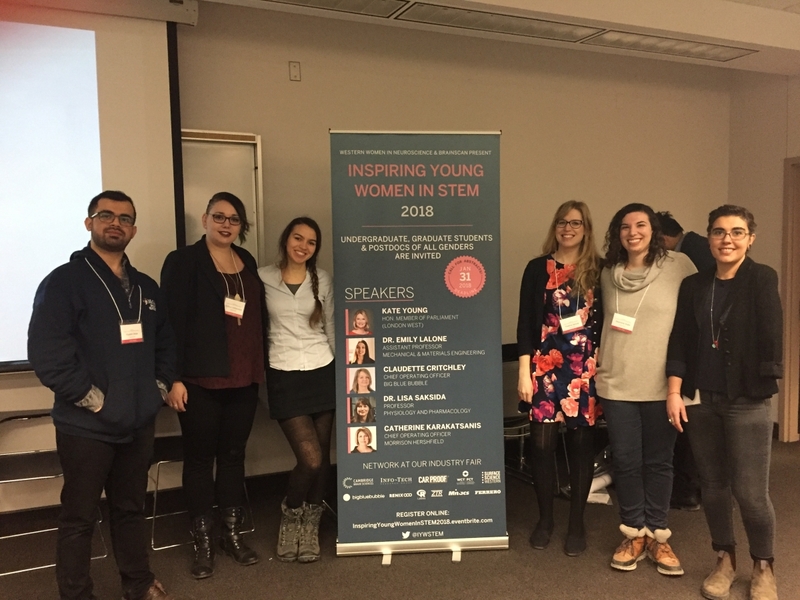 On March 4th, 2018, over 200 undergraduate and graduate students, postdoctoral fellows, and researchers flocked to the University of Western Ontario to attend the 2nd Biennial Inspiring Young Women in STEM Conference. The conference focused on inspiring and supporting young women in STEM (Science, Technology, Engineering, and Mathematics) by providing the opportunity to network with and learn from established women in STEM fields. 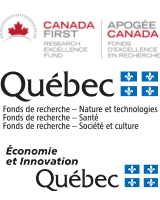 The event began with opening remarks from Kate Young, a Member of Parliament and the Parliamentary Secretary for Science, who discussed the positive impact that the 2018 Canadian federal budget will have on scientific research. Throughout the day, attendees heard engaging keynote lectures from Dr. Emily Lalone (a professor in Mechanical and Materials Engineering), Claudette Critchley (the co-founder of Big Blue Bubble), Dr. Lisa Saksida (a professor in Physiology and Pharmacology, as well as a co-Scientific Director of BrainsCAN), and Dr. Savita Dhanvantari (a professor in Medical Biophysics). Participants also had the opportunity to network with industry representatives, and view student poster presentations. The day concluded with a panel discussion on equal treatment for women in STEM with Drs. Emily Lalone, Lisa Saksida, Savita Dhanvantari, and Mark Daley (a professor in Computer Science and the Associate Vice-President (Research) at the University of Western Ontario). Healthy Brains for Healthy Lives looks forward to continuing to provide opportunities for trainees to attend conferences, build connections, and gain inspiration to make an impact. We would like to acknowledge Stephanie Scala for her work on this article.